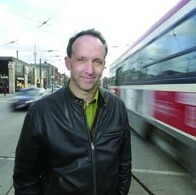 André Sorensen is Professor and Chair of the Department of Human Geography, University of Toronto Scarborough. He has published extensively on Japanese urbanisation, urban planning, and planning history. His monograph ‘The Making of Urban Japan: Cities and Planning from Edo to the 21st Century’ (Routledge 2002) won the book prize of the International Planning History Association in 2004. In 2007 he was elected a Fellow of the University of Tokyo School of Engineering in recognition of his research on Japanese urbanism and urban planning. His current research examines institutions, urban space, and temporal processes in urbanisation and urban governance from a historical institutionalist perspective, with a focus on urban land and property development, infrastructure management, and the creation of increasingly differentiated property rights in urban settings. Sorensen, A. (2011). ‘Uneven processes of institutional change: Path dependence, scale, and the contested regulation of urban development in Japan.’ International Journal of Urban and Regional Research 35(4): 712-734. Sorensen, A. (2011). ‘Evolving Property Rights in Japan: Patterns and Logics of Change.’ Urban Studies 48(3): 471-491. Sorensen, A. (2011). Uneven Geographies of Vulnerability: Tokyo in the Twenty-first Century. Planning Asian Cities: Risks and Resilience. S. Hamnett and D. Forbes. Abingdon, Oxfordshire, UK, Routledge: 40-66. Sorensen, A. (2012). The State and Social Capital in Japan: (re)scripting the standard operating practices of neighborhood civic engagement. The Dynamics of Social Capital and Civic Engagement in Asia. A. Daniere and H. V. Luong. Abingdon, Oxfordshire, UK, Routledge: 163-181. Sorensen, A. (2014). ‘Taking Path Dependence Seriously: A historical institutionalist research agenda in planning history.’ Planning Perspectives: 1-22.